Retargeting, the practice of engaging consumers who have already interacted with your brand or product, was one of the fastest growing marketing channels of 2013. In fact, the tactic had a 50% year-over-year increase in adoption by marketers, lagging only content marketing in terms of growth, according to Chief Marketer. However, retargeting is evolving rapidly, and even recently adopted strategies may be outdated. James Green, CEO of Magnetic, recently wrote a piece for MediaPost outlining a few major issues/optimizations in particular that marketers should be keeping an eye on in the year ahead. Site Retargeting vs. Search Retargeting: Site retargeting is the practice of re-engaging consumers who have already visited your website. Search retargeting is aimed at reaching users who have looked for your brand or product off-site. Both tactics have their advantages and disadvantages—for example, site retargeting works well for reaching an existing audience while search retargeting can be good for finding new customers. As both evolve in 2014, Green notes that it will become increasingly important for marketers to understand how and when to use each channel. Search Encryption: In September, Google announced that is planning to encrypt all non-paid search data, and Bing/Yahoo plan to do so as well. This means that a lot of the organic search data used for retargeting will no longer be available from the major search engines. However, Green notes that some smaller platforms will continue to provide keyword information, so marketers should consider including these in future retargeting plans. Cross-Platform Retargeting: Mobile is transforming the entire digital landscape, and retargeting is no different. While a number of mobile platforms have not yet enabled advertising cookies, Android has, which means a large pool of consumers can already be served retargeted ads across multiple devices. As more operating systems and apps incorporate cookies in 2014 this cross-platform inventory should increase dramatically. Fraud and Viewability: In the past businesses have struggled to combat impression fraud and to make sure their retargeted ads are being served on quality content. Thanks to increasingly sophisticated monitoring tools, this should get easier in 2014. Still, marketers will need to be vigilant in watching their data—in particular paying close attention to their retargeting inventory and view/click rates. While these optimizations may seem a bit daunting, brands should keep in mind that they bode well for the channel. Over the next 12 months, retargeting should become increasingly nuanced, secure, effective, and multi-platform, making the tactic even more powerful and cost-effective. 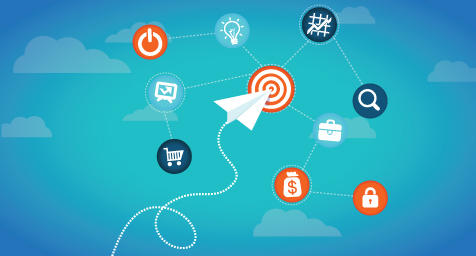 See how retargeting is making an impact on advertising. Contact MDG Advertising today at 561-338-7797, or visit mdgadvertising.com. MDG Advertising is a full-service advertising agency and one of Florida’s top branding firms. With offices in Boca Raton, FL and New York, NY, MDG’s core capabilities include branding, logo design, digital marketing, print advertising, email marketing, media planning and buying, TV and radio, outdoor, newspaper, video marketing, Web design and development, infographic development, content marketing, mobile marketing, social media marketing, and SEO. To learn more about retargeting, contact MDG Advertising today at 561-338-7797.